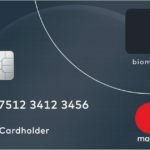 Shaw’s Freedom Mobile has offered up a ‘bonus’ on their $40 LTE-ready plan, where right now you can get 2GB of bonus data, taking the plan to 4GB of full-speed LTE data (2GB + 2GB bonus). The plan also includes the unlimited Canada-wide talk, unlimited global SMS/MMS, their Call Control package (caller ID, etc) and Voicemail+. Freedom is also offering 2GB bonus data on their $49 and $59 plans, taking total data to 6GB and 8GB respectively. There’s no word on when these data promos will end. 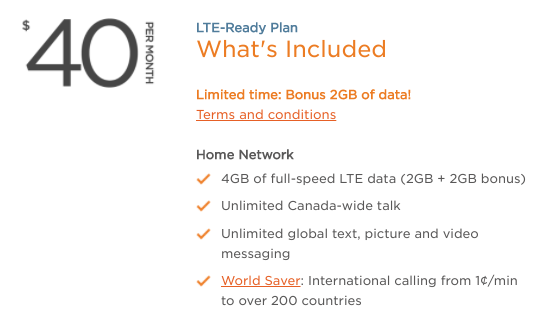 At $40 for 4GB, that’s similar to the popular Fido Black Friday plan people lined up for, which was essentially matching Telus-owned Public Mobile’s epic $38/4GB plan (after $2 in Autopay savings). Freedom Mobile has their LTE network setup so far in Greater Vancouver and Greater Toronto only. The company says Calgary, Edmonton and Ottawa will get LTE by this summer, while remaining cities in Southwestern and Southeastern Ontario will get LTE by fall of this year. One huge caveat is right now, as no iPhones will work on Freedom Mobile LTE (band 66), but only their 3G network. Anyone jumping on this?